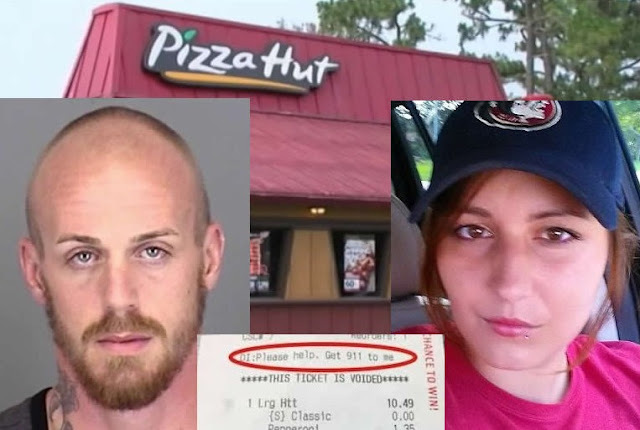 Mother-of-three who was allegedly being held hostage by her meth-addled boyfriend has been rescued by cops after writing 'get 911' on an online pizza order. Ethan Nickerson, 26, and his girlfriend, Cheryl Treadway, 25, had been arguing all day on Monday when he began sharpening a knife in front of her, police said. 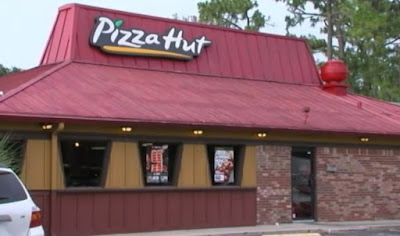 He refused to let her leave his sight or use a phone, but she eventually convinced him to give her a cellphone so that she could put in an order at their local Pizza Hut using the chain's online app. 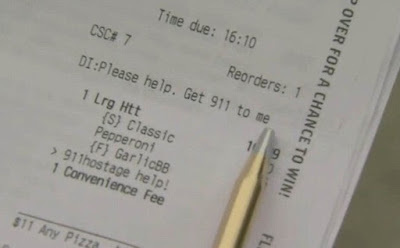 When the order came through at the Pizza Hut in Avon Park around 3.40pm, staff recognized the name and address as being from a regular customer. After seeing the plea, they immediately contacted the Highlands County Sheriff's Office. When deputies headed to the home, Treadway fled from the house with a baby in her arms and told them that her boyfriend had a knife. 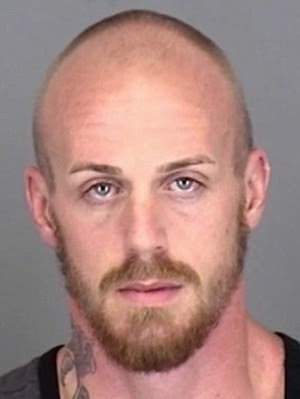 Nickerson initially refused to leave the home, telling authorities through the door that he did not want to go to jail, but after 20 minutes, authorities were able to convince him to come out. He was taken into custody and deputies safely removed the other two children from the home. None of them were harmed. Deputies said he may have been high on meth when he held his family hostage, WFLA reported. 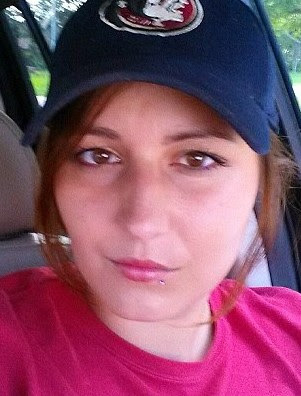 Treadway told authorities that Nickerson had grabbed her as she had attempted to leave the home earlier that day to pick up the children from school and eventually went with her. 'If I'm standing there with a knife in my hand, sharpening it, and looking at you in a menacing way and make a statement that, "I'm going to kill you," and I've already done some violence to you, ya know how are you going to take that message?' Lieutenant Chris Ludden said. Authorities applauded Treadway's quick and creative thinking. Nickerson has been charged with aggravated assault with a weapon without intent to kill, battery, false imprisonment and obstructing justice by depriving communication to law enforcement. Facebook posts suggest that Nickerson is the father of Treadway's three sons. Records show he has been arrested on multiple occasions since 2007 on charges including battery, battery on law enforcement, damage to property, public intoxication, vehicle theft, DUI and forgery.